Rose Ramirez (and family) needs our help. Sweet Rosie, our sweet, sometimes sassy, Disney loving beautiful little 3.5 year old cousin was living the typical life of a toddler with her baby brother, mommy and daddy in Orlando, FL. When she suddenly started complaining of stomach pain, and wasn’t eating much, her mom and dad decided it was time to get her checked out. During the course of a few days her, and her families entire life changed. The complaints of pain and refusals to eat were not that of just a “toddler being a toddler”, but something of a parents worst nightmare. CT scans showed a large mass in Roses stomach, that would later be confirmed as stage 4 neuroblastoma...Cancer and it is aggressive it has spread to her bone marrow. So now we fight. 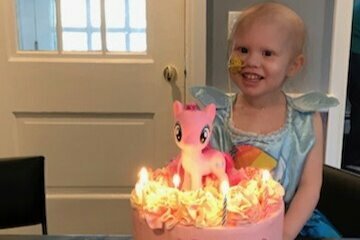 Rose is already a fighter, we just have to give her family all the ammunition they need to get her the best treatment possible. Rose is recovering well from her surgery. The surgeon removed approximately 90% of the tumor from her abdomen. During the surgery he discovered the tumor damaged her left kidney so bad that it needed to be removed. She also had a G tube implanted in the right side of her stomach. She is still throwing up everyday so she's lost weight again. Her 5th cycle of chemotherapy is being push back to next week in hopes of her being able to gain some weight. Please keep Rose in your prayers. 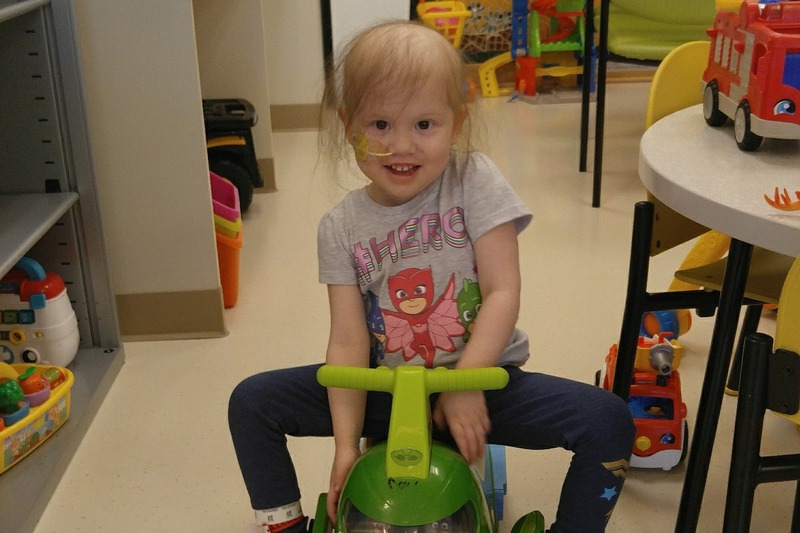 After this cycle Rose will move onto two stem cell transplants, radiation, and immunization therapy. We finally have some good news. Rose had an MRI done yesterday. 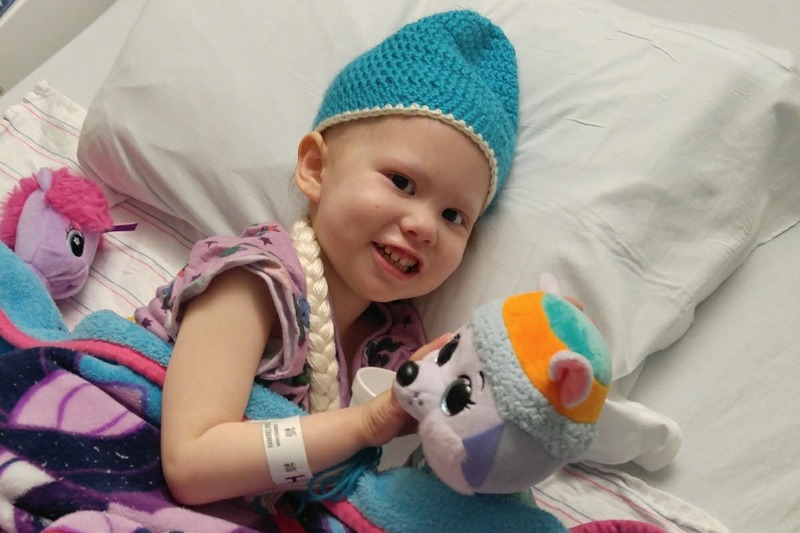 Her doctors compared her MRI from last October to yesterday's MRI and her tumor is smaller! So chemo is working. Her kidneys are still surrounded and being squeezed by her tumor. She is scheduled for surgery on Feb. 21 to try to remove as much tumor as possible then more chemo. Please continue to keep Rose in your prayers. Rose started cycle 4 of chemotherapy last night. She has been really tired and weak today. She was up for 3 hours this morning but is back to sleeping. Next month will be a big month for Rose. They will do scans to determine if the chemo is working. If it is then she goes on to surgery. And on top of all that Rose turns 4 next month! I will also post monthly updates on this gofundme page.